Frames: Eight 10 minute L frames and eight 5 minutes exposures in each of RGB binned at 2x2. Processing: Stacked in CCDStack, L and RGB combined, curves, noise reduction and selective unsharpened in Photoshop CS5. Comments: M78 and NGC2071 are located in a dusty region of the Orion Constellation. 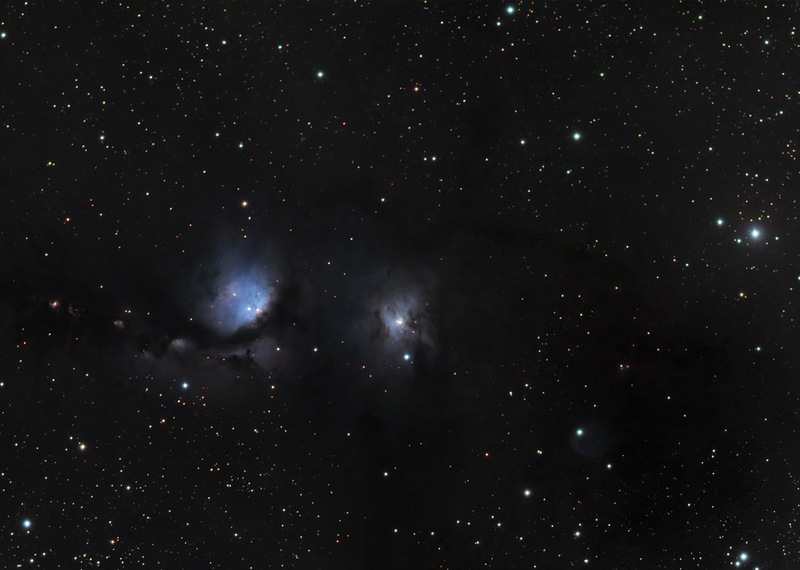 Both are reflection Nebulae with M78 being the larger blue structure on the left and NGC on the right.